I heard this week on Twitter about a free new online course just launched by coursera for fledgling social entrepreneurs, guiding people who want to set up a business with social impact to move from idea to action. 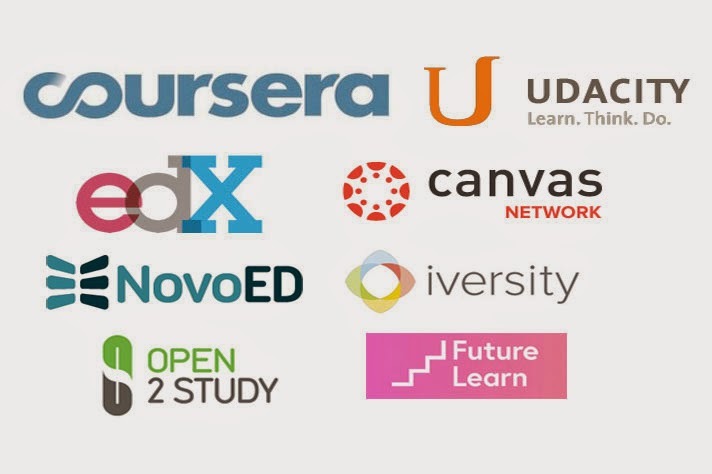 This is a fantastic addition to the rapidly increasing number of free online courses run by University-level experts that you can take part in from your own home in your own time. I'm a great fan of these MOOCs (Massive Open Online Courses) and think that they are a wonderful resource for returners: I've heard very positive reports from colleagues, friends and coachees, who have followed courses on subjects ranging from creative writing to medical neuroscience. Testing whether you have the interest and commitment to invest in a masters programme, either to become more specialised &/or retrain into a new field. Updating/refreshing/upskilling before returning to your previous field. Exploring more creative possibilities, either purely for fulfilment and enjoyment, to investigate whether you want to take your working life in this direction or to finally to write your novel. Keeping your brain working & your CV current while you are prioritising caring responsibilities. Returning to social entrepreneurship, I know that for many women returning from a long career break, there's a desire to find work with meaning and purpose; if you've been wondering how you can combine setting up your own business with doing something more meaningful, the coursera course could give you the impetus you need to test whether your dreams can become reality (see here for more details). Let us know if you have studied a great free online course - we'd love to receive any recommendations!